Charles is now at that age where he is super independent when it comes to getting himself dressed. I of course influence a lot of his wardrobe (as does my mum who does like to spoil them with lovely shirts). I can leave him to get himself ready and most of the time I know he will come out of his bedroom with a smart pair of jeans on, a tshirt, with a shirt over the top. He likes to "dress smart" for any occasion which I find really adorable. As part of the Frugi Family we were given the opportunity again to choose something from their latest range to review. 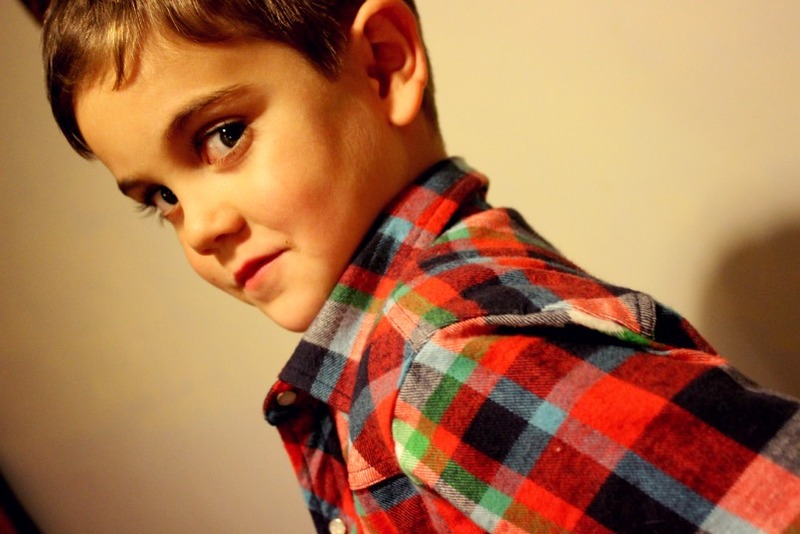 Usually I would give the boys the choice but I knew straight away that Charles would go for the Frugi Monty Shirt. He does seem to have a real "thing" for checked shirts, so this one made from soft organic cotton was guaranteed to please him. The fact that he does like to wear shirts over a tshirt means that we do tend to prefer those with a few different colours in them, so we can match them with a variety of tshirts and not be so stuck and restricted. 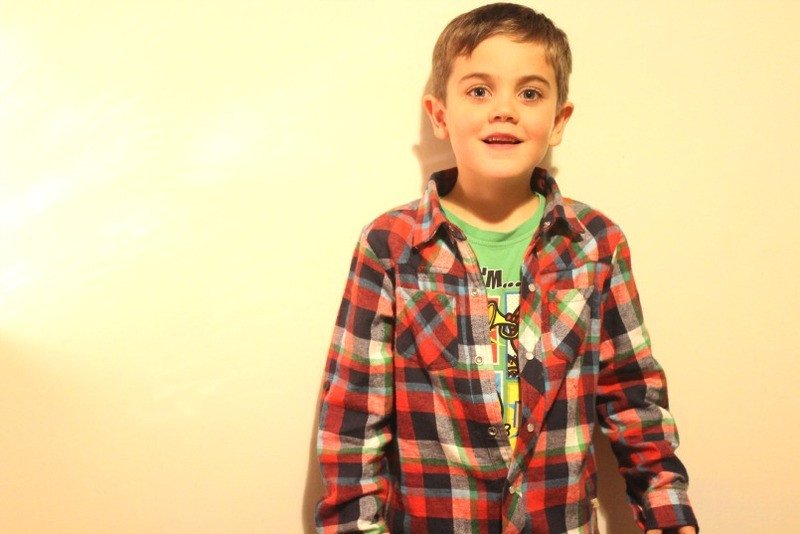 As with all of Frugi's clothing the shirt is well made and washes perfectly. The sizing is perfect and although a tiny bit long on Charles' arms there are buttons which allow the sleeves to be rolled up and secured into place. Charles told me that he particularly liked the colours and that the shirt is "a little bit thick so it is quite warm". 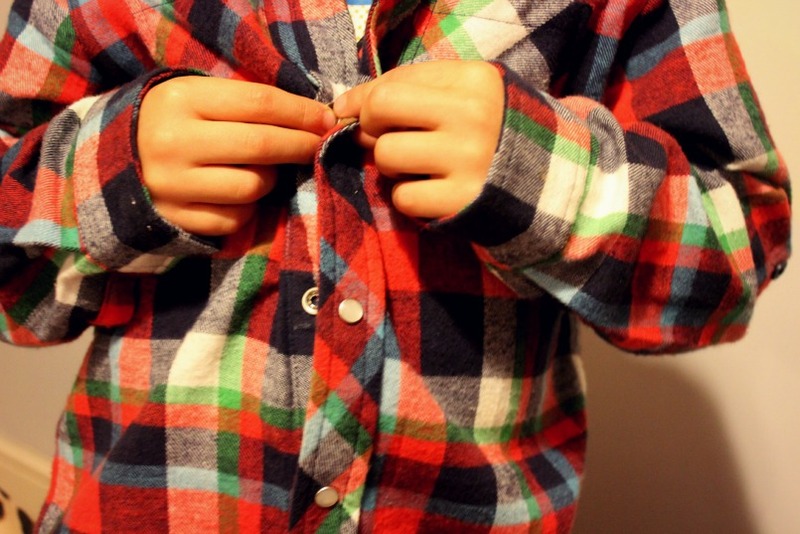 With poppers to do the shirt up it's perfect to encourage children to be a little more independent when getting dressed. This isn't so much the case with Charles as he is old enough to manage buttons, but for a child Harry's age or younger it is ideal.